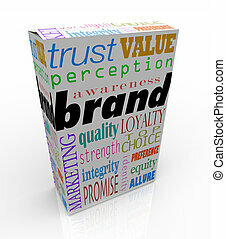 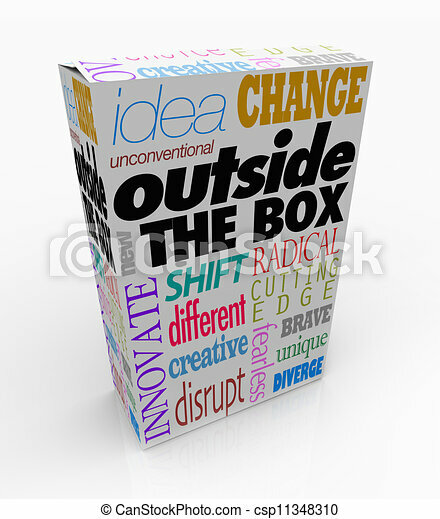 Outside the box words on product package innovation. 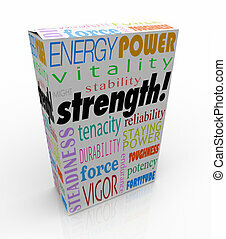 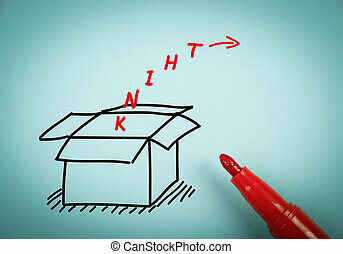 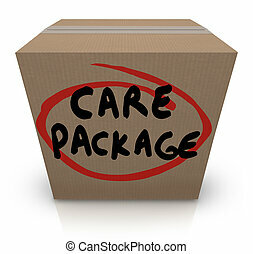 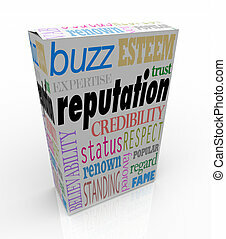 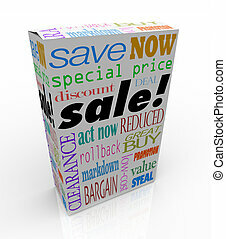 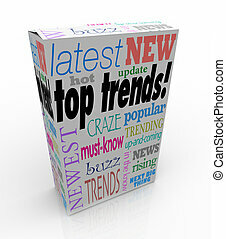 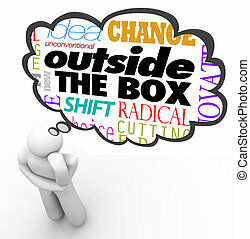 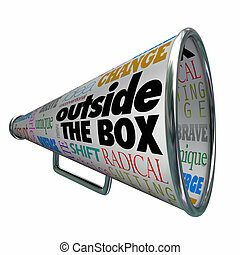 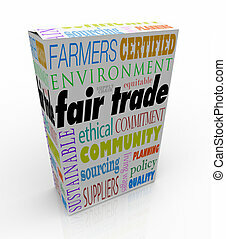 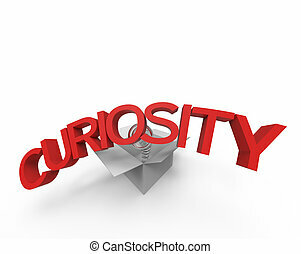 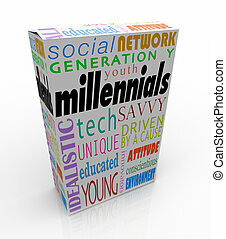 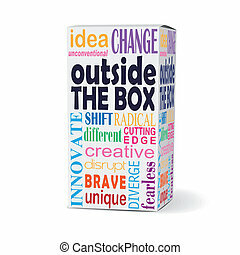 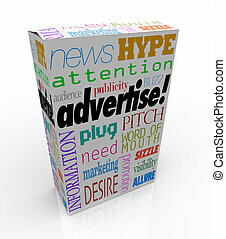 The words outside the box on a product package to symbolize a new idea, innovative creation or an unconventional, unique solution to a problem. 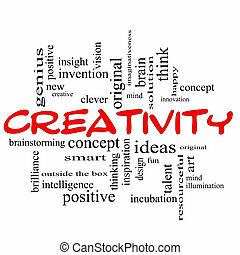 Creativity Word Cloud Concept scribbled in red with great terms such as happy, innovation, fun, incubaton, ideas and more. 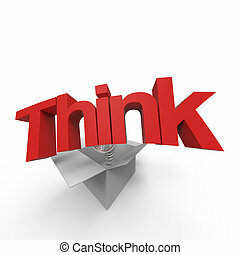 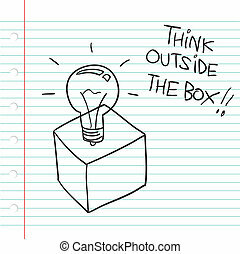 Think outside the box concept is on blue paper with a red marker aside. 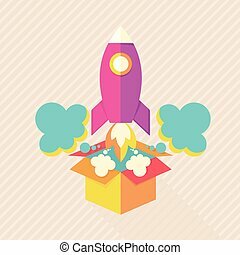 Outside the box rocket. 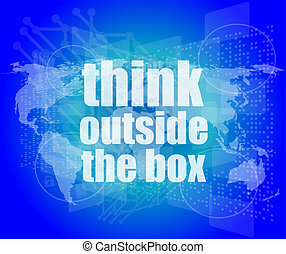 Think outside the box creative idea. 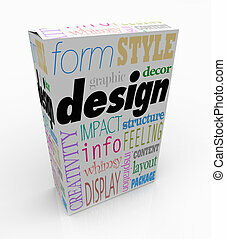 Objects isolated on background. 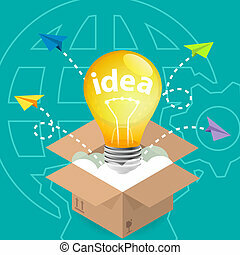 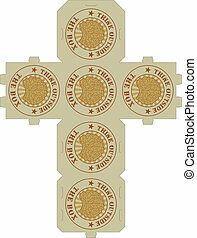 Flat and cartoon vector illustration. 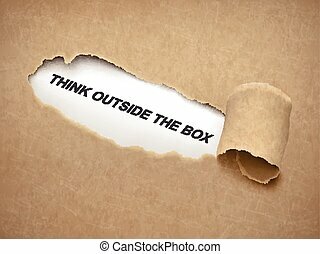 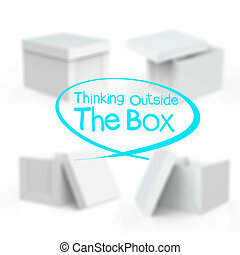 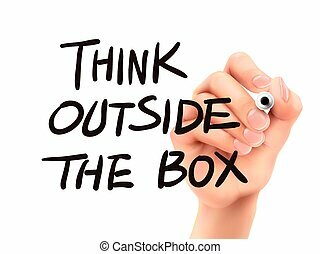 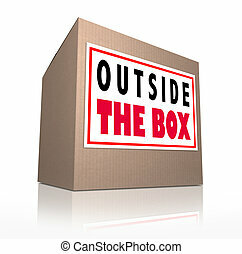 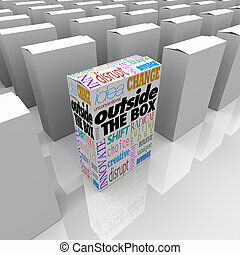 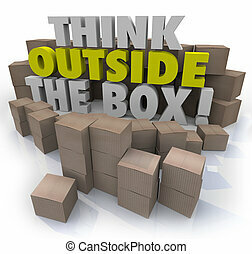 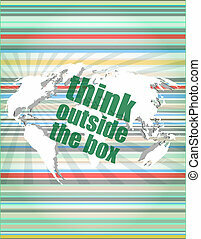 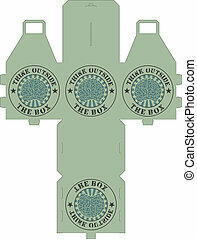 Concept of "think outside the box"